Spring has sprung at our retirement neighborhood! Daffodils are starting to poke their heads from the soil, Canada geese are returning north, and our walking trails are refilling with folks taking advantage of the warmer weather. In Chelsea, spring also means the return of one of the community’s favorite events—the Chelsea Spring Expo! Back for its 13th year, the expo is an all-inclusive celebration of everything that makes Chelsea such a unique and engaging place to live, work, and play. Whether you’re new to the area or a lifelong resident, you simply won’t want to miss out on this year’s Spring festivities. It all takes place on Saturday, April 13 from 10 a.m. to 3 p.m. at the Washington Street Educational Center. Mark your calendars! For more information, head to ChelseaSeniors.org. As the organizer of the Spring Expo, the Chelsea Senior Center is more than just a place for older adults to find helpful resources. In fact, it connects the entire community with fun programming, learning opportunities, and fellowship for people of all ages. 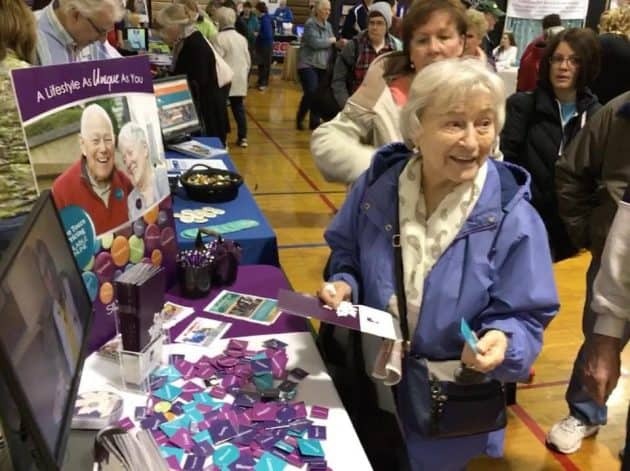 In many ways, the senior center is what makes the town of Chelsea the special place it is, which is why Silver Maples has supported the Spring Expo since its inception 13 years ago. Members of the Chelsea Senior Center are a dynamic group, ranging in age from 50 to 90 years old or better. However, membership is extended to anyone who feels passionate about supporting the organization. This is a powerful testament to the inclusivity of the Chelsea Senior Center, and it’s a great reason to consider making the town of Chelsea your home in your retirement years. Partnerships often stem from a shared passion. That’s certainly the case when you look at the relationship between the Chelsea Senior Center and Silver Maples – we both have a passion for older adults, value a sense of community, and understand the importance of connections! The Chelsea Spring Expo isn’t the only event we sponsor: it’s just one way we’ve collaborated with the Chelsea Senior Center over the years. Here’s a quick look at a few other programs we’ve developed and grown together. Kaleidoscope Concerts: This monthly concert series for community members began in 2009, initially funded by a grant from the Chelsea Community Foundation and the Community Foundation of Southeast Michigan. In its 10th season, the series continues to entertain audiences of 100 or more thanks to donations from local businesses and private donations. Concerts are primarily held at Silver Maples from September to March, with a huge fundraising concert event in April at the Chelsea Senior Center’s Washington Street Education Center auditorium. We invite you to join us on Tuesday, April 16th at 7pm for a rousing performance by THREE MEN and a TENOR, a fun, lively and talented quartet. The concert is free and open to the public, we promise you it will be a night you won’t forget! Chelsea Music & Memory Program: During its run, this program helped individuals facing life-limiting illnesses such as dementia find renewed joy and pleasure through music-triggered memories. The program was made possible with a generous grant from the Chelsea Community Foundation and the enthusiasm and expertise of five local organizations including the Chelsea Senior Center and Silver Maples. It’s walkable: Chelsea is a charming, quaint town that makes it easy for you to access its many great features and amenities. Access to first-class healthcare: You’ll love the peace of mind that comes with convenient access to a University of Michigan clinic and St. Joseph Mercy Chelsea Hospital. It’s fun: With a thriving local arts and music scene, casual and fine dining options, a world-class theater, and a state-of-the-art wellness center, there’s no limit to the fun you can have here. The people: Most importantly, Chelsea is a safe, supportive community that loves to embrace newcomers of all ages and abilities. We hope that you’ll come join us for the 2019 Chelsea Spring Expo. 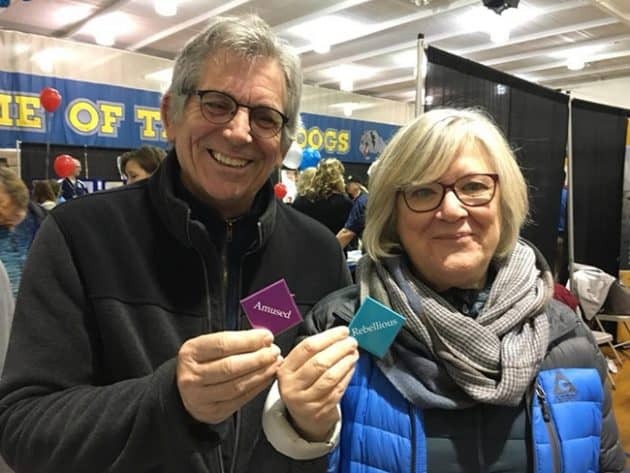 While there, be sure to stop by our booth to pick up a scrumptious maple leaf shaped cookie and a few of our popular and fun Mindset buttons. We’re anxious to talk to you about your future retirement living plans and to share how we create and support a positive aging experience for all who call Silver Maples home.